SKU: N/A. Categories: Flat Feet, Insoles and Orthotics, Over Pronation. Looking for the ultimate control for over pronation and flat feet? 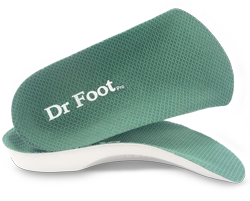 Choose the dr foot pro insoles which have a 4 degree medial heel support as well as a extra arch support. 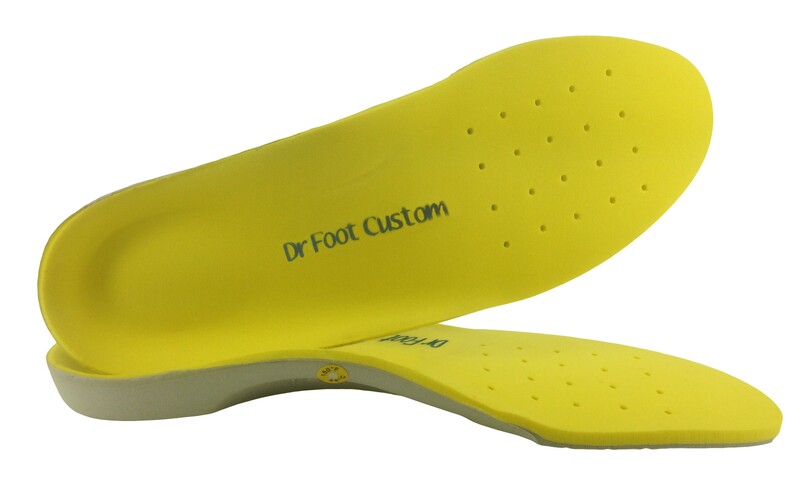 Dr Foot Pro insoles are designed to fit into normal shoes, lateral cutaway provides an easy fit for almost any type of shoe. The wearer will adjust quickly and find the device comfortable to wear. This insole provides the functionality and stability of the full length insole but can be placed into all types footwear for men and women. Dr Foot Pro 3/4 length insoles provide the support you need to insure prevention and treatment of sports injuries and foot pain such as bunions, ball of the foot pain, flat feet, neuroma, over pronation, heel pain and many other conditions. This unique heat mouldable insole provides customized support with added thickness and optimum support to treat a variety of foot and leg conditions. 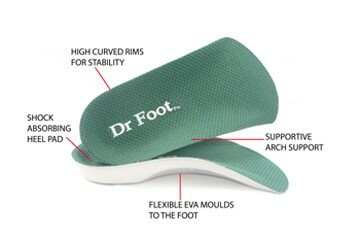 You get the perfect amount of arch support you need as the insoles mould to your feet. 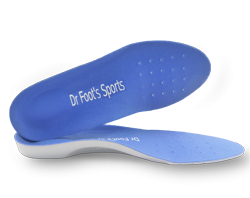 Dr Foot’s Sports Insoles work wonders on problem-prone feet. These revolutionary insoles are biomechanically engineered to relieve over pronation, forefoot, heel, arch and leg pain. © 2017 dubaifootproducts.com. All Rights Reserved.